Product #3826 | SKU AJA00111 | 0.0 (no ratings yet) Thanks for your rating! 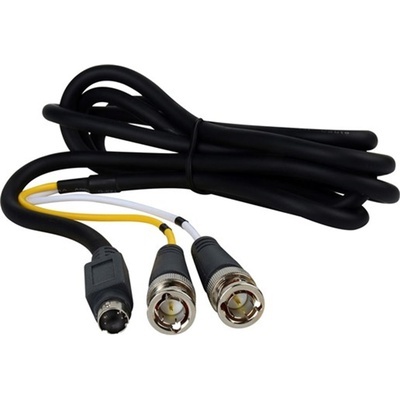 These 6 foot long replacement cables have an S-Video (4-pin miniDIN) connector on one end and 2 standard BNC connectors on the other. For interconnection of monitors, editing decks, breakout boxes and capture cards.